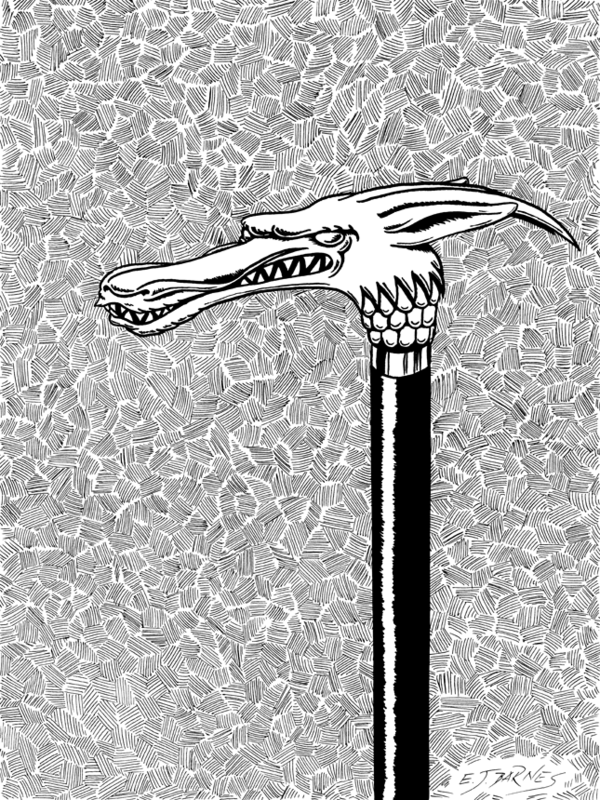 As readers of The Dragon Lady of Stockbridge know, Rebecca Farnsworth Maxwell got her nickname from the fearsome walking stick she carried. 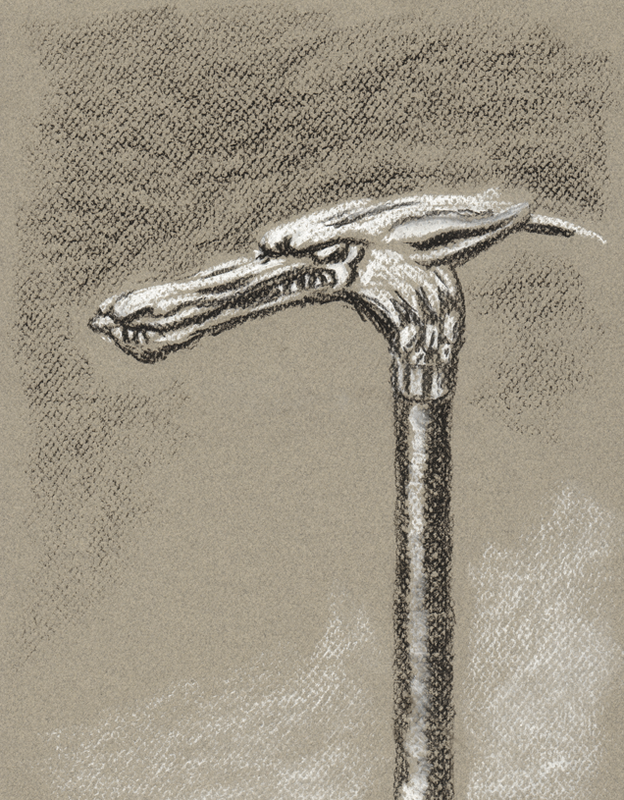 Now all three of the original drawings of that walking stick are going on sale. E. J. Barnes, the artist, has framed each of the 8″ x 11″ drawings in a 14″ x 17″ frame. They are going to be shown at her house, which doubles as her studio, during Cambridge Open Studios this coming weekend, May 18 – 19, 2013. The public is welcome to attend between noon and 6 P.M. All three drawings will be on display and for sale. For more information on Cambridge Open Studios, see their web site; the downloadable pdf has a map and contact information for all the participating studios. You may contact E. J. Barnes directly using the information on her web site here, or drop me a line at the e-mail address on the right. 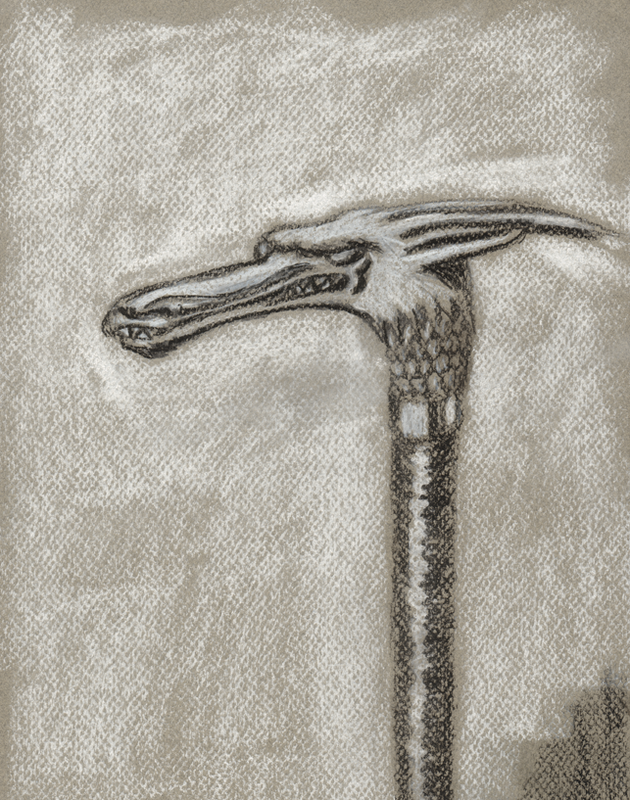 This entry was posted in Dragon Lady and tagged art, fantasy, Fiction, Japanese dragon, walking stick. Bookmark the permalink. I’ll pass the word along, Dana.